For lovers of all things Chinese, you do not want to miss this guided 3-4 hour tour of Chinatown Brooklyn, a neighborhood still unknown to many New Yorkers. Participants have the complete Chinatown experience on this excursion, with multiple tasting stops, including dim sum, a bakery and bubble tea. We'll tour the open-air fish and produce markets, the grocery, a Buddhist Temple, and dry goods and ginseng shops that line the lucky 8 strip. This fun and food-filled experience starts early in the day, while the dim sum flows! 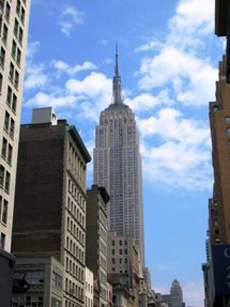 Meeting place is 20-minutes from Canal Street in Manhattan on the express train. Tour meeting times below are for suggestion only and can be adjusted to your schedule.